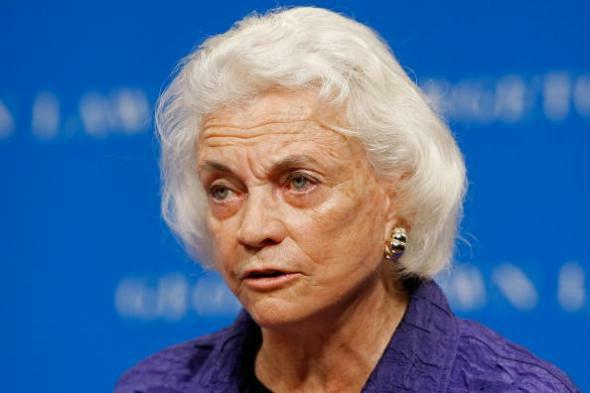 Sandra Day O’Connor says Obama should nominate Scalia replacement. Sandra Day O’Connor speaks on May 20, 2009, at the Georgetown University Law Center in Washington, D.C.
A number of Republicans have said that whoever is elected in November, not President Obama, should choose Scalia’s replacement—an approach that would likely involve leaving a vacancy on the court for more than a year. O’Connor was a Republican state legislator in Arizona before becoming a judge; she was appointed to the Supreme Court by Ronald Reagan in 1981 and announced her retirement in 2005. She is 85 years old.